Sage wrote: As topical 2 tsp pure castile soap, coconut milk, castor oil, coconut oil, 1 tsp olive oil and one tea bag of green tea and a pinch of fresh coriander. 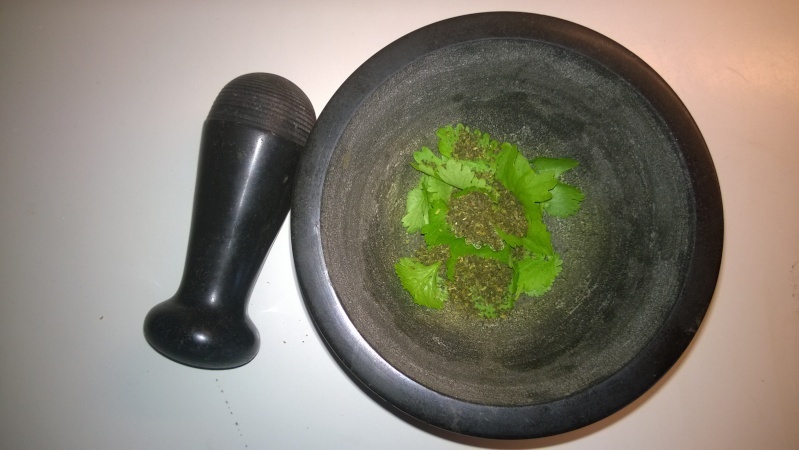 First i but the oils in a small bowl, and then i put the coriander and green tea in a coffee grinder to make it more powdery and mix them all. i will try that too. just curious, whats the reason for the castor oil and the coconut milk? ah and i have another question. do you live very healthy in general? like do you eat meat, do you drink alcohol? The coconut milk is rich in magnesium, vitamin E and castor oil omega 6, minerals, but i´m not an expert. I don´t live especially healthy, i drink alcohol in moderation, nicotine (Swedish) snuff and regular food such as meat. But like mentioned we have a good food routine, and the daily juicing has definitely energized me, and improved my skin. Congrats with your juicer purchase, and i would recommend to use ecological greens if the price docent differ to much from the regular. alright thanks. cant wait to start oh and keep us posted bro! 4039 wrote: Forget about your hair volume, which has improved, but your overall hair health has improved as well. Good job dude. I myself try to get at least 100-300mg of chlorophyll daily, which is one of the most misunderstood underappreciated antioxidant/anti-inflammatory in the health world today. Using zinc/copper-stabilized liquid chlorophyll is no where as good as the real deal. Like you said chlorophyll seems to be the most understood ingredient, and my gray frizzy beard like hair on the sides looks like normal hair again. I use a organic chlorella powder, and my whole remedy is back to basics (non synthetic supplements). Which plants do you juice that are high chlorophyl and low oxalates? Awesome results Sage. This inspired me to try out your paste. Anyhow, I hard a real hard time washing off the green out of my hair (especially on some white hair) and was thinking about using black tea instead. Wondered if you had any thoughts about this. Also, from your initial post I gathered you started the topical 4 weeks after juicing. In which case it would the juicing that really kickstarted your regrowth. Please correct me if I am wrong. invinoveritas wrote: Awesome results Sage. This inspired me to try out your paste. The juicing was for health reasons, and i saw tiny results from chlorella and green juicing. 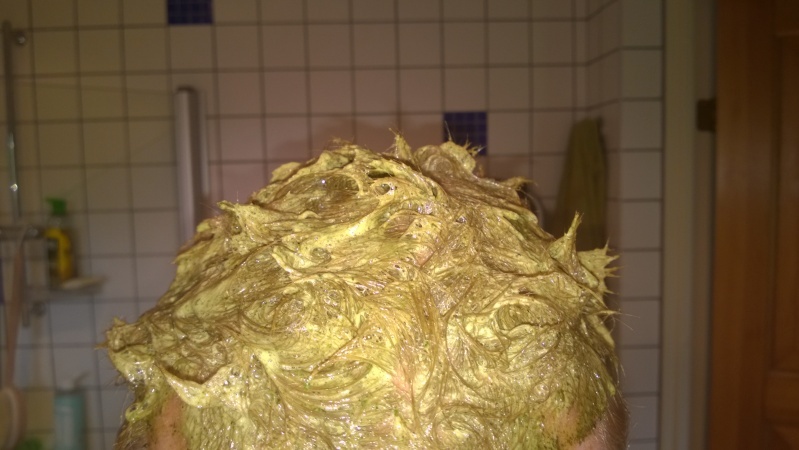 But the big change came from the nasty green topical, and it accelerated my regrowth. I´m convinced that it is the coriander and green tea is the main fuel, but you can try black tea. In long term though i think our oral intake is crucial, since health is symbiosis with hair. Since i´m still having regrowth my plan is later to use the topical 1-2 times a week, and continue with my juicing. I use a pestle now instead since as you mentioned, some green tea was hard to wash out, and you can add 1 tsp more of the castile soap. The topical treatment on my scalp. I like you cause you're a real dude. I hope you make a full recovery and I thank you for documenting your progress. I second that sage. Thanks for sharing. by the way do you use castor soap in a liquid form or how do you mix it in`? 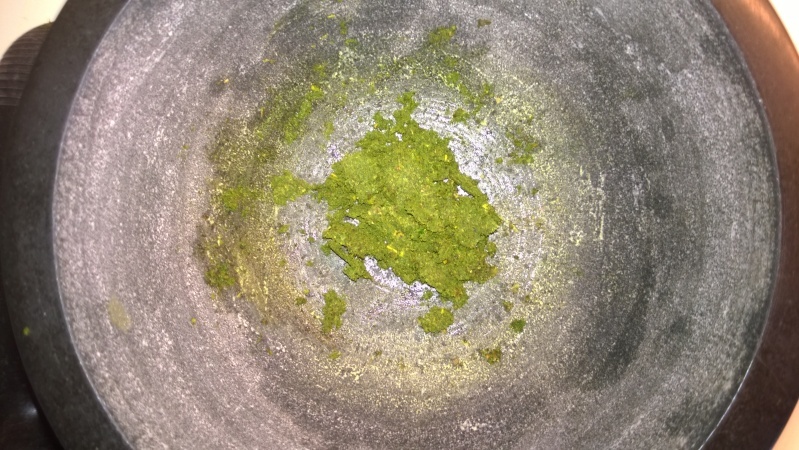 My own conclusion about my success is that it´s non supplemental, maybe the chlorella but it is in powder form. Synthetic supplements are comfy to use, but i think our bodies docent digest them as the label states. I was surprised how the green tea and coriander reacted whit the oils, and therefore i thought this could be something. In the past when i used castille soap/emu oil religously on my scalp, as well as daily boar brushing after a few months I had 5 or six people tell me "your hair has grown back!" including a female co worker who used to make fun of my hair loss. I got such good results that I got cocky in the belief that I had the cure, so I stopped doing it regularly and the hair loss creeped back. I have recently started again and can already see a difference. Peppermint Castille Soap is heaven sent for a balding man. Sage, do you use additional shampoo to remove the paste from your head or just water? I found that I had to use shampoo twice to get a clean feel. Are you always incorporating the 2 tsp of castille soap in the recipe? invinoveritas wrote: Sage, do you use additional shampoo to remove the paste from your head or just water? Some times i use 3 tsp, if i use it in the morning since the hair can get a little greasy. You can definitely wash it off one extra time with castile soap. The best routine for me is to use the paste in the evening, and if necessary i use only castile soap in the morning the day after for a fresher look. It has not been a problem to wash my hair every day, since the paste itself contains nutritious oils. It´s powerful and handles greens with ease, unfortunately it´s a bit pricey. The green juice has a quiet intense taste, but you can add some apple to sweeten it. What else would you blend up besides chard or kale for a leafy green? There are many greens you can add to your diet. Cucumber, spinach, leeks, mint, coriander, parsley, basil, celery, chives, lemongrass, all edible algaes... just think outside of the obvious. For a week now i have used fresh parsley leaves every second day, in alternation with coriander. Like mentioned i´m far from an expert regarding the nutrition values, but think the key is that they are fresh. Once you brake the leaves the oxidation progress begins, and therefore when you put in your scalp directly the nutrients are still highly intact. I´m going to study closely if it accelerates the progress, but still continue with the coriander every second day. My wife is going to help me to take close up pictures of my scalp, even if she thinks i´m a little bit crazy with my experiments. yo man, imma have to try your topical out! How long did it took you to see results? bogv51 wrote: yo man, imma have to try your topical out! How long did it took you to see results? I saw tiny results from the green, chlorella intake and therefore is started to experiment with the topical. Definitely started sprouting more, after the topical and i stuck with it. Coconut milk is rich in vitamins C, E, B1, B3, B5 and B6 and minerals including iron, selenium, sodium, calcium, magnesium and phosphorous. 15% of folates, 11% of vitamin B-6 (pyridoxine), 45% of vitamin C, 225% of vitamin A, 258% of vitamin K, 22% of iron and 18% of manganese. I just copied and paste. I Haven´t studied the actual vitamins but i think it´s a good combination with oils, fat coconut milk and vitamins, minerals. Probably somebody with a higher knowledge, can dig deeper and input if there are some hair beneficial ingredients. The topical ingredients combination is worth a try,however i'm afraid that coriander can have slightly estrogenic effect. Did you noticed any side effects like slight decreased libido for example? Those are all super important for hair. Vitamin b6 is in zix if I remember correctly. Manganese is also important and hard to come by. Again, which plants are high in chlorophyl & low in oxalates? Anyone? Spinach is high in oxalates.